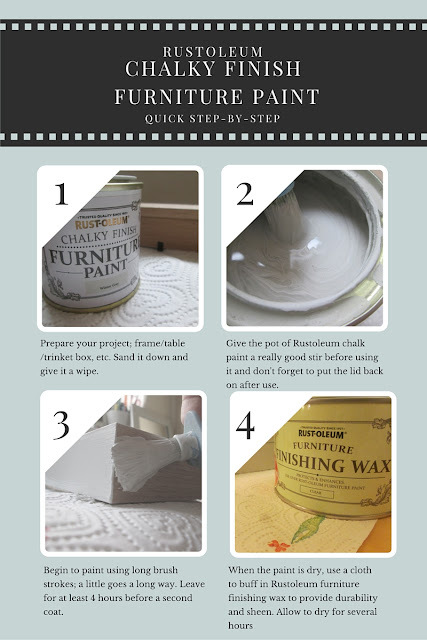 I love the idea of giving furniture a new lease of life by just using a lick of fresh paint. 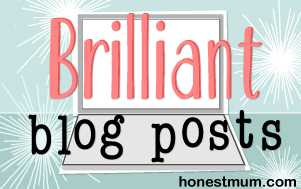 After I completed painting Lily's room I was ready for a break from staring at bright white walls, but I did complete a few little projects along the way using Rustoleum Chalky Finish Furniture Paint. I used 'Winter Grey' which is lighter than you would imagine which is useful to know in a house such as ours which doesn't get a great deal of natural light; the lighter the colour the better. 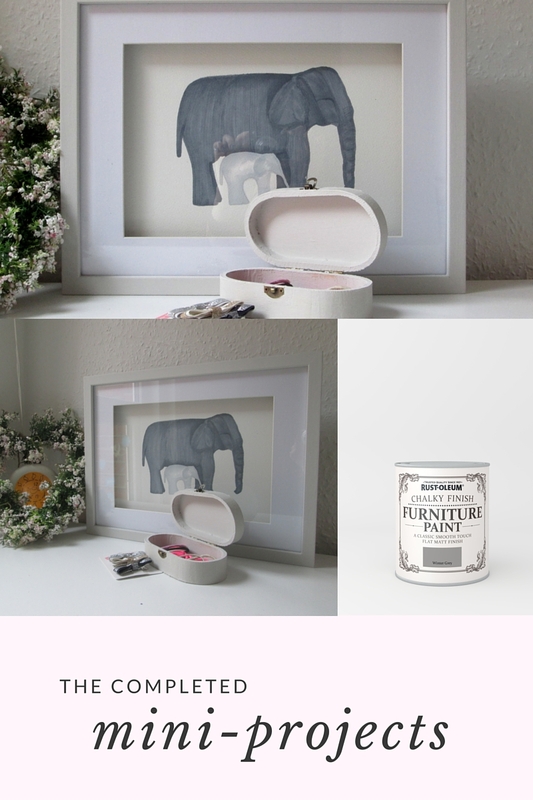 My two mini-projects included an untreated wooden frame from Matalan and a small wooden trinket box from The Works, with the idea of producing a piece of wall art for Lily's room and supplying her with a box to keep all of her hair ties, bows and clips in, I set to work. Here is my brief, simple 'How-To'. I found the paint easy to apply. I mixed the paint well which you should do with all paints and this one seems particularly thick so you need to make sure the phases of the paint are well combined. For these two small projects I used a small brush, but for larger projects such as a bedside table which I intend on doing, I would use a small roller and a larger brush. It dries really quickly, within an hour but best leave 4 hours before the second coat so the new paint application doesn't drag on the first layer. Once the mini-projects were dry I buffed in a smidgen of Rustoleum's furniture finishing wax to the desired sheen. I opened the window whilst I used this as it smells quite strong. After allowing them to dry overnight I can feel the difference that the wax makes; the paint feels smooth and silky yet durable. No fingermarks have appeared on Lily's trinket box yet which is great for something which is handled everyday. I'm pretty impressed with the overall look of the frame and the trinket box. Painting them and waxing them from start to finish took minimal effort; the paint can used without priming which reduces the time length of the project and I am now awaiting an ideal opportunity to paint a chest of drawers and a bedside table, perhaps in Antique white which would match my dressing table from IKEA. 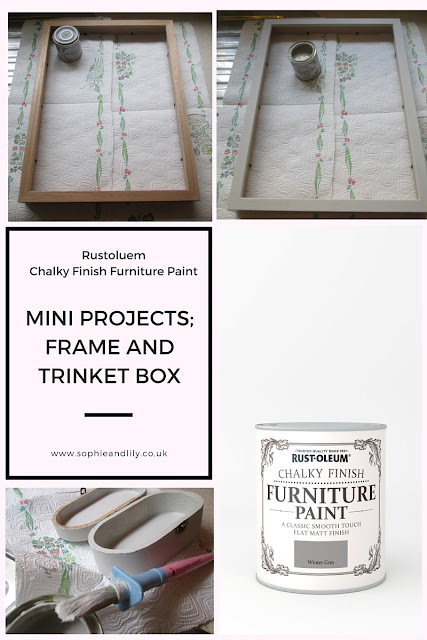 I reckon they are an excellent alternative to the pricier Annie Sloan chalk paints; Rustoleum chalk paint can be bought from Homebase for example, for £14.99 for 750ml. Including the lesser-spotted elephant with camera hide!